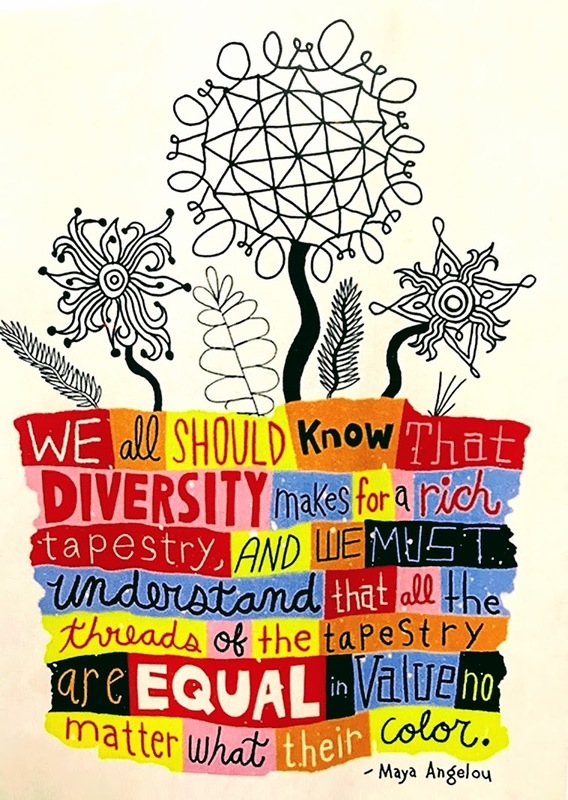 "We all should know that diversity makes for a rich tapestry, and we must understand that all the threads of the tapestry are equal in value, no matter what their color [or race, or origin, or religion, or age, or gender, or sexual orientation, or disability]." Ok, I added the "or" statements at the end. But the point is the same and important. Discrimination, bigotry, prejudice, and bias are stupid. They are a function of ignorance. - We learn from diversity. - Life is richer with diversity. If everything was in monocolor...if life was homogeneous...if there was only one type of everything, then what type of humdrum, monotonous, and boring place would this be? Value the variety. Value the diversity. Value the differences.